As part of this week's London Cocktail Week (6-12 October), agency TBA will be activating a number of Diageo's drinks brands at the week-long event. London Cocktail Week, which is in its fifth year, is expected to attract 20,000 people during the seven days and celebrate the capital’s cocktail culture at various locations in collaboration with a number of brand partners. 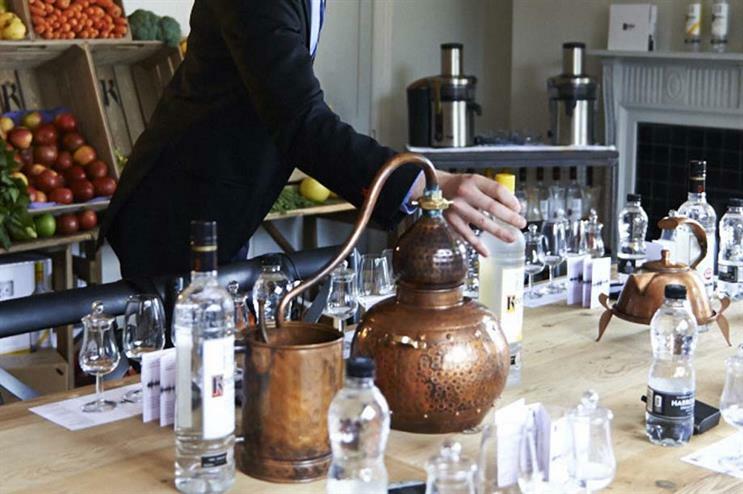 Diageo vodka brand Ketel One will create a hub on Earlham Street in the Seven Dials area of Covent Garden, hosting 30-minute Bloody Mary cocktail workshops with the brand’s UK ambassador David Beatty for up to 14 people. This will feature a fresh fruit installation in which participants can use ingredients to make their own drinks creations. In the basement of the same venue, a hidden pop-up for Zacapa Rum will feature a sensory experience called Above and Beyond in which guests can experience the Guatamalan rainforests to see how the product is created. It will be rounded off with an old fashioned-style drinks workshop which will require participants to wear headphones to listen noises from the rainforest, as well as smell scents related to ingredients that make up the rum. Gin brand Tanqueray No. 10 will also be hosting a dedicated hub at Hixter in London’s Spitalfields region, which will see taster events being held during each day of the week, culminating in bigger experiences during the evenings. This will include music performances, a cut throat-style barbers shop and shoe-shining services. On the Friday (10 October), the brand will host its main event, which will be themed around the 1920s and will feature all of the different activities hosted during the week as well as gin masterclasses and a vintage-style photobooth. Tequila brand Don Julio will be bringing to life its Mexican origins with a themed festival at Translate bar in east London. The street festival will feature the work of graffiti artist Animaux, as well as a specialist tequila menu created by the brand, Mexican streetfood and free printed t-shirts for the first 20 consumers. Diageo’s newest drink, Hague whisky, will be located at Home House during London Cocktail Week and will be offering ticketed masterclasses with brand ambassador David Sinclair. At Grosvenor House Hotel, Talisker whisky will be offering a tasting event on Thursday (9 October) in which attendees will be able to try six variants of the drink with blue cheese and oysters with brand ambassador Colin Dunn, as well as enjoying entertainment from a rhythm and blues band. Amie Mercer, account manager at TBA, told Event the activations will allow Diageo to bring its brands to life, each with their own different personalities. "It will give consumers a greater understanding of what the brands are all about. The beauty of it will be that there will be so many different experiences, with the brands being able to showcase their strong identities."